A flyover connecting the Old Mahabalipuram Road and the East Coast Road is now a step closer to reality. The design of the flyover that would start near Tidel Park on OMR and land on ECR was given a go-ahead by a technical committee of the state highways department that met a few days ago. “The alignment of the flyover was decided in December last. Now we have decided where the arms will come and where exactly the flyover will land,” said an official of the state highways department. TOI was the first to report when the alignment committee gave its nod in December last. The flyover will begin just after the small bridge on the Buckingham Canal on West Avenue Road. It will then cross the much-dreaded Lattice Bridge Road junction, turn right and then land on ECR near the Thiruvanmiyur RTO. “The final detailed project report will be submitted in three months. A tender will then be floated and work on land acquisition will start in a year,” said the official. This is touted to be one of the most expensive flyovers in the city, given its size. “The cost has been estimated at Rs 400 crore,” said the official. Unlike previous projects, land acquisition will be completed before construction begins. “This is to ensure that cost of construction doesn’t keep increasing with delays in land acquisition,” said the engineer. Construction of flyovers in Porur, Moolakadai and Thirumangalam has been delayed due to land acquisition issues. Commuters on the stretch say that while the flyover would make a difference, the Tidel Park junction is still a bigger problem. “This flyover will make a difference, albeit a small one. It is a temporary solution and the bigger problem is at Tidel Park,” said Suresh Menon, a cinematographer who has been working with the Chennai Traffic Police on solutions for traffic management in the area. “While one would take 10 minutes to cross the traffic signal at LB Road, it takes at least 45 minutes to cross Tidel Park signal. Coming from Madhya Kailash, traffic piles up well past Thiruvanmiyur MRTS station,” he said. Earlier this year, the state government announced that a 45-km elevated road would connect Madhya Kailash and Mahabalipuram. “We will soon appoint a consultant to study the feasibility of this project as well,” said a highways engineer. Additional commissioner of police (traffic) Karuna Sagar said this was the only real solution in sight. “There is nothing else we can do to manage the traffic flow. It takes more than one signal cycle to clear traffic and hopefully the situation will improve after these projects,” he said. 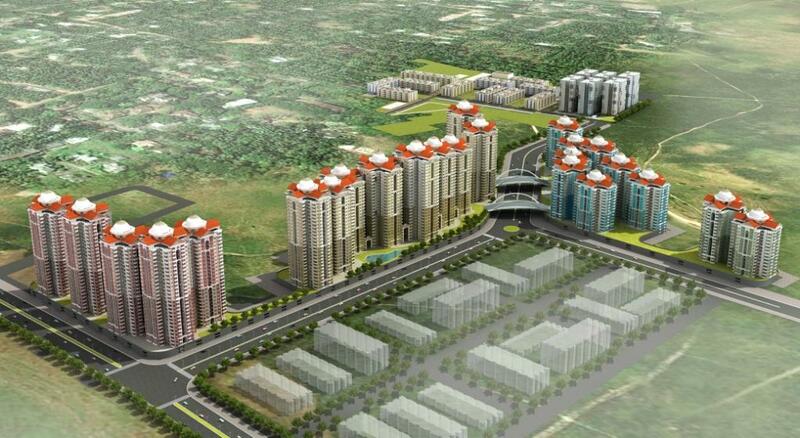 A suburban locality of Chennai, Sholinganallur, has witnessed a rapid growth due to the developing IT corridor. Located in the Southern zone of the city, the real estate market here has witnessed a boom both in the residential as well as the commercial sphere. The developing IT business parks and the Special Economic Zones (SEZs) have fueled growth not only in Sholinganallur but also the neighbouring suburbs such as Perungudi, Taramani and Siruseri. The social and civic infrastructure of Sholinganallur is well developed. Schools, colleges, hospitals and hotels are present in abundance. It is well connected by the OMR Road and the East Coast road to other parts of the city. Metropolitan Transport Corporation (Chennai) Ltd buses and autorickshaws are modes of public transport for the residents. Velachery MRTS Railway Station is the nearest railway station. 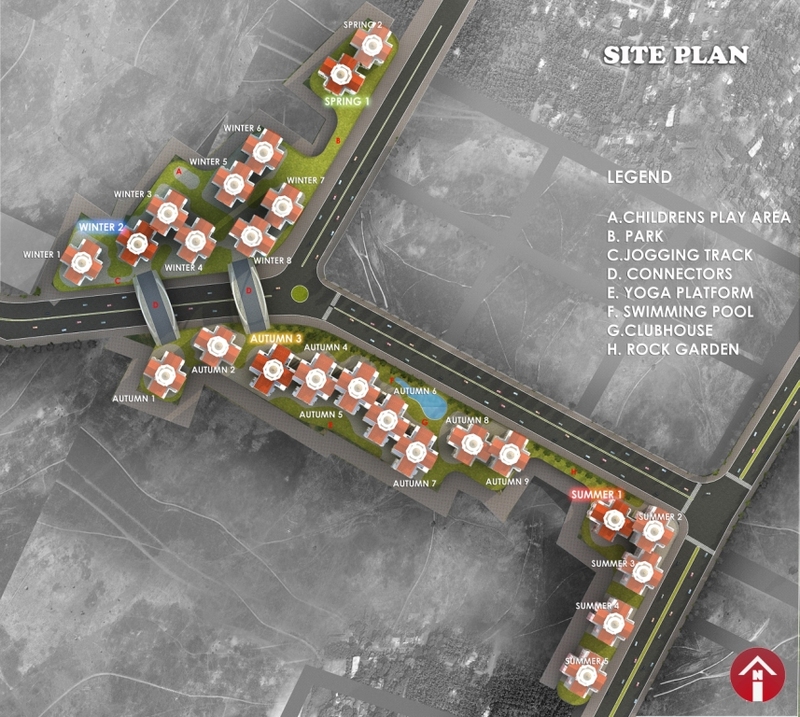 The major demand drivers in this locality are its close proximity to the IT hubs and availability of apartments in the economically weaker section (EWS) category as mandated by the Chennai Metropolitan Development Authority (CMDA). Sholinganallur is an important locality of south Chennai. The demand for both residential and commercial properties has risen significantly in the last couple of years. 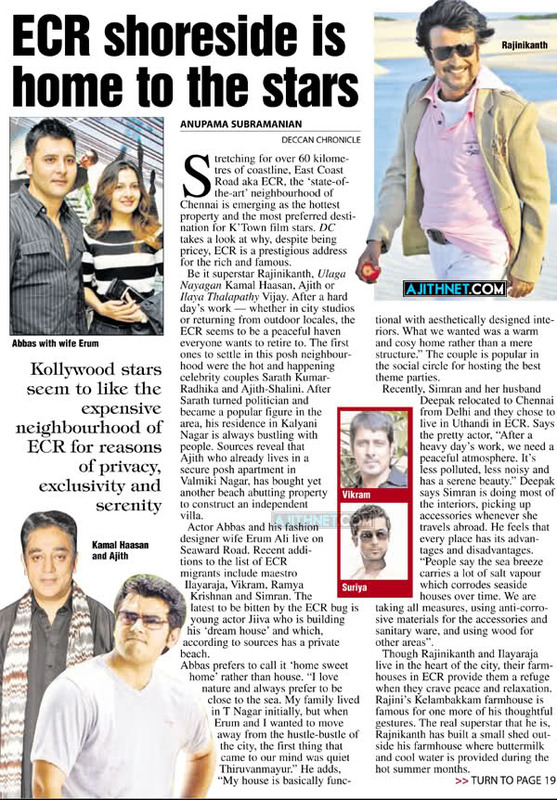 Several factors such as easy connectivity, employment opportunities and close proximity to holiday destinations such as ECR beach have attributed towards its growth in demand. To facilitate a smooth ride for thousands of people hitting the IT corridor everyday, the Tamil Nadu government has announced an elevated corridor along the 45km Old Mahabalipuram Road. It would be the country’s longest such corridor, much longer than the Hyderabad airport-city link which is 11.6km. Chief minister J Jayalalithaa said the government would soon prepare a detailed project report. The announcement comes at a time when the 19km Chennai Port-Maduravoyal elevated corridor, being built by NHAI, is stalled because of the objections raised by the state government. Jayalalithaa made a slew of announcements in the assembly on road infrastructure development, including on multi-level vehicle parking at Siruseri, rail over- bridges and road widening projects estimated to cost 2,000 crore. The elevated corridor would be built in two phases, from Taramani to Siruseri and Siruseri to Mammallapuram. “This is to decongest the chaotic traffic emanating from the large number of IT firms, multi-storied buildings and educational institutions along this road. 5 crore will be allocated for the detailed project report,” she said. The IT corridor was initiated by Jayalalithaa during her earlier tenure. The 45km long stretch starts at Madhya Kailash Temple junction on Sardar Patel Road and ends on East Coast Road, parallel to the Old Mahabalipuram Road. The prestigious TIDEL park is also located on this road. According to sources in the Tamil Nadu Road Development Company, which manages Rajiv Gandhi Salai, work on the footpaths and service lanes are expected to be completed by the end of September. AS you drive through the many roads that lead you off East Coast Road to the Bay of Bengal, you will notice many a house thumbing its nose at the constructivist, utilitarian, and an almost anti-aesthetic approach that defines urban architecture. Features that repeat themselves with great frequency are meticulously tended gardens, galleries that provide a panoramic view of the sea, balconies that have been corbelled out and balconettes that make the windows stand out. And, all the houses are capped by saddleback roofs with beautifully undulating red tiles, which, interestingly, is the most easily recognisable feature that runs through the ECR. This common aesthetics is in keeping with one of the Coastal Regulation Zone norms that says: “The design and construction of the buildings shall be consistent with the surrounding landscape and the local architectural style.” But whatever uniformity that you find is far from being monotonous. The collective architecture of the plush beach houses on the ECR speaks of a highly-refined taste and class that does not pale on you, no matter how many times you clap eyes on them. And aesthetics sells on ECR, even if it comes with a hefty price tag. “NRIs, expatriates, highly-paid software engineers who work on the parallel Old Mahabalipuram Road and other high income groups are increasingly settling down on ECR. They have the wherewithal to go for forms and structure that are based on Mediterranean or any other European architecture,” says Emmanuel Fernandez of Espana Builders and Developers, who are active on this road. 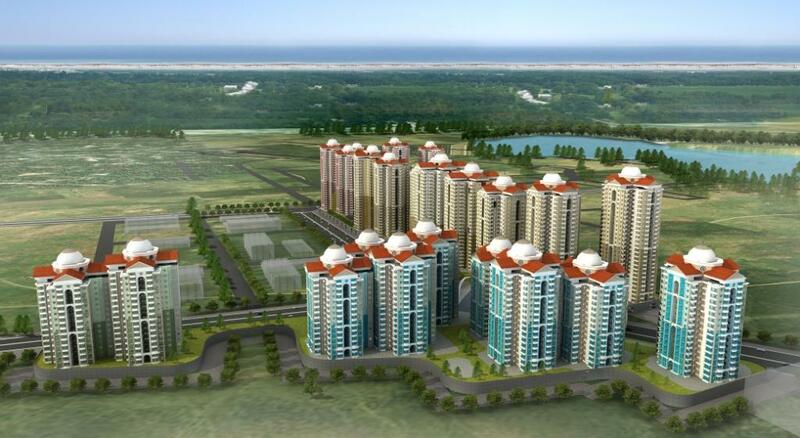 “With the NRIs showing an interest in ECR, land prices have spiralled. In the last few years, Neelangarai has registered an almost two-fold increase. Not uncommonly, landowners name their price and get it,” says M.M. Ahmed of Mariam and Co.
“Thanks to such violations, CMDA notices fly thick and fast,” says Mr. Fernandez. “As most of those who want to live very close to the sea are generally the rich, it is not much of a problem to them if their piece of property is not approved. They tell themselves `anyway we are not going to apply for building loans,'” says Rozario of Nathan Builders. 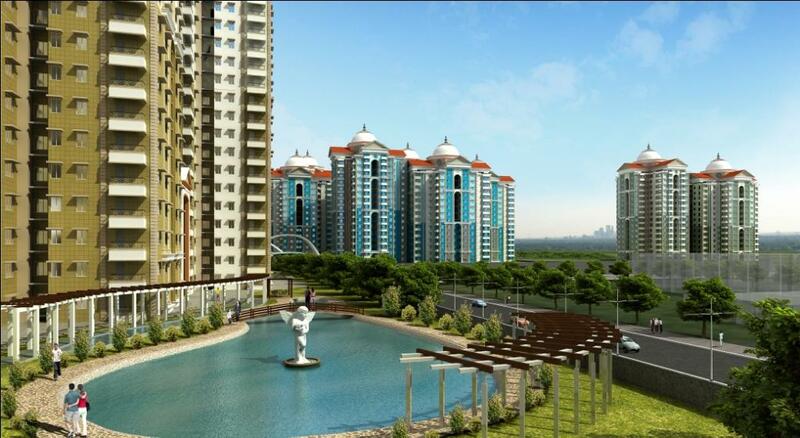 In point of fact, land within 500 metres of HTL fetches its owner a higher price. In many localities along the ECR, water is a sore point. Only bore-level water seems suitable for drinking purposes. And one cannot miss the lack of communion among neighbours. Many feel that they cannot count on their next-door residents for help during an emergency. Probably for this reason, many go for a security cover offered by not less than three dogs. Most of the roads that lead off the ECR culminate in fishermen’s villages. Those living in plush beach houses see in these fisherfolk a ready and willing help during an emergency. Well, if you count the advantages and the disadvantages of living near the beach, you will in all likelihood find six of one and half a dozen of another. But there is one advantage that tips the scales – peace and quiet. It cannot be gainsaid that beach houses along the ECR provide these in an abundant measure. Longtime residents of Neelangarai, Rukmini Claes and her husband Rene Claes vouch for it. 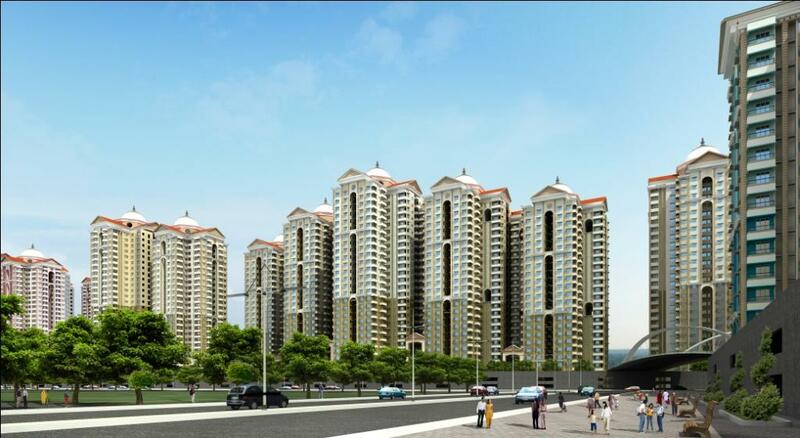 – Four Seasons will have 4320 apartments which will be developed in various phases . – Tallest apartment complex on ECR – Four Seasons will be of max .28 floors . We have launched 26 floors ( Summer block) in phase 1 .The other high rise buildings like Hiranandani Upscale ( 28 floors ) & TVH Oranya bay ( 29 floors ) are located on OMR and not on the East Coast Road .